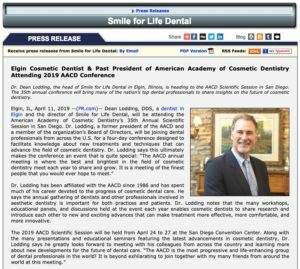 Dr. Dean Lodding, the head of Smile for Life Dental in Elgin, Illinois, is heading to the AACD Scientific Session in San Diego. The 35th annual conference will bring many of the nation’s top dental professionals to share insights on the future of cosmetic dentistry. Dr. Lodding has been affiliated with the AACD since 1986 and has spent much of his career devoted to the progress of cosmetic dental care. He says the annual gathering of dentists and other professionals involved in aesthetic dentistry is important for both practices and patients. Dr. Lodding notes that the many workshops, educational panels, and discussions held at the event each year enables cosmetic dentists to share research and introduce each other to new and exciting advances that can make treatment more effective, more comfortable, and more innovative. 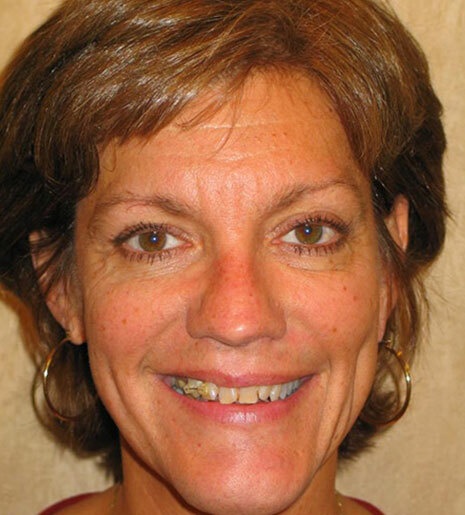 Dr. Dean Lodding is the head of Smile for Life Dental, a practice located in Elgin, Illinois that offers comprehensive cosmetic, general, and restorative dentistry procedures. Options at the practice include advanced treatments such as porcelain veneers, dental implants, sleep apnea treatment, and many others. 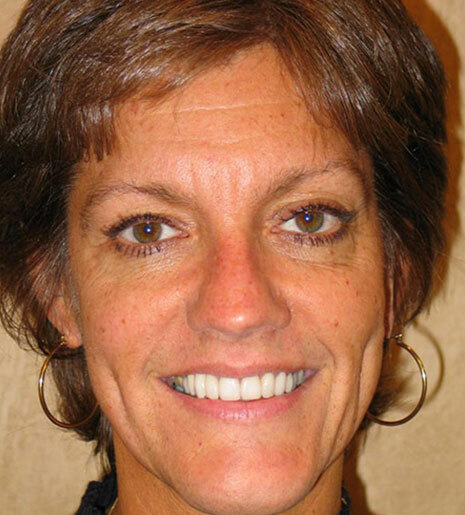 Over the course of nearly 40 years in private practice, Dr. Lodding has held numerous leadership positions with the American Academy of Cosmetic Dentistry and other prestigious organizations. In addition to his past presidency of the AACD, Dr. Lodding is a Founding Member of the American Academy of Oral Systemic Health, and a National Chairperson for the Give Back a Smile program. He has also served on the Editorial Board of the Journal of Cosmetic Dentistry, and is a certified member of the American Academy of Facial Esthetics. Dr. Lodding has been honored by the Consumers’ Research Council of America, and has been recognized as one of America’s Top Dentists. Dr. Lodding is available for interview upon request. 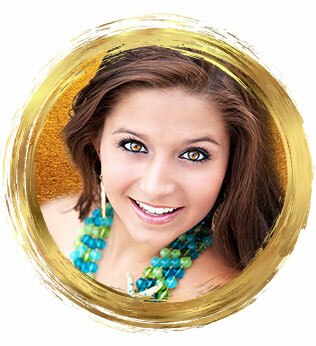 For more information about Smile for Life Dental, please visit drdeanlodding.com or facebook.com/SMILEFORLIFEDENTAL.